Happy Fall, blog fans! It's officially Fall, and I'm pretty pleased. I love the season and the cooler, rainy days. The cozy sweaters, candles, pumpkin spice everything... sign me up! A new season is a great time to refresh key items in your makeup bag- mascara, sunscreen, moisturizer, and lip balm. Fall also means an impending winter season, and with that colder winter weather. I deal with dry bits most of the year anyway, but a solid hydration routine becomes more important when the temperatures dip. 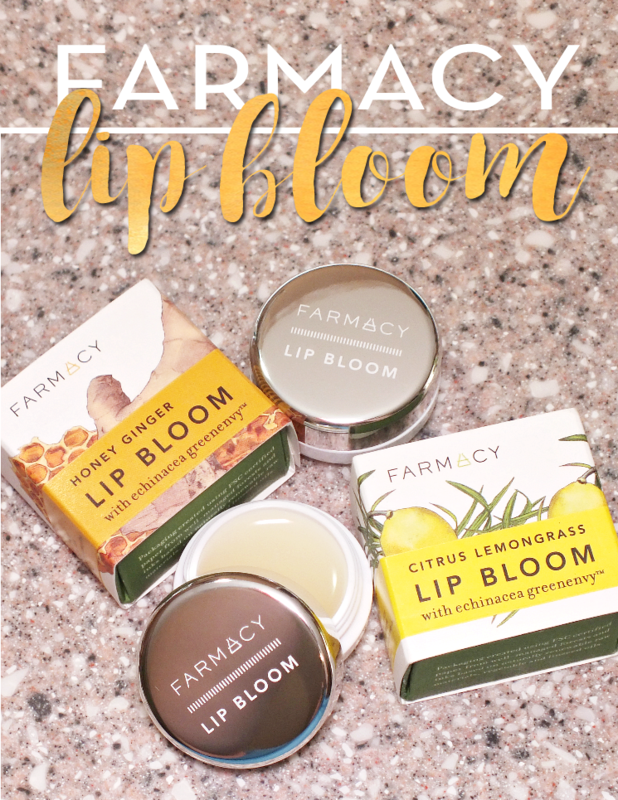 For Fall my lips are covered with a new balm in the form of Farmacy Lip Bloom that melds hydration with an herbal-based formula. 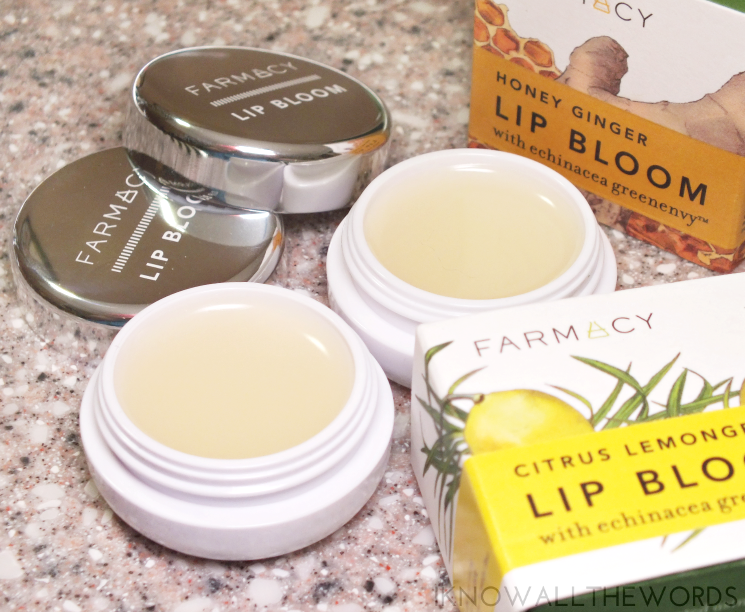 The Farmacy Lip Bloom comes housed in sleek little white pots with silver caps. 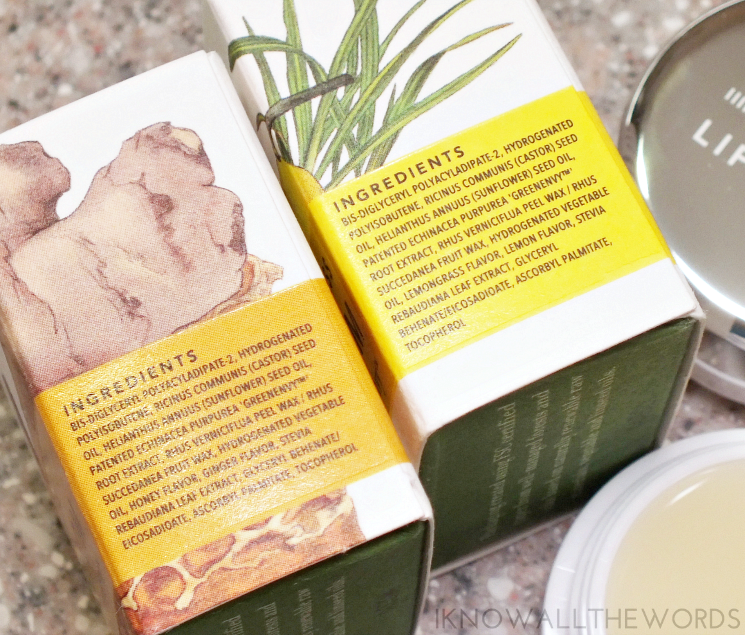 The boxes are adorable with botanical illustrations of the fruit and herb combos that are the balm flavours. 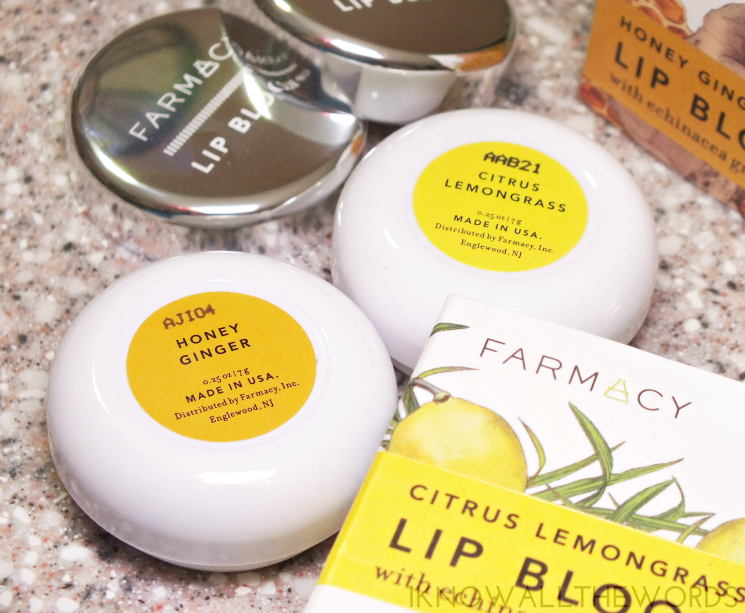 I've been using Honey Ginger and Citrus Lemongrass, but the Lip Bloom are also available in Apple Rosemary, Lavender Mint, Vanilla Mint, and Strawberry Basil. I dare you to just pick one. The balm has a satin finish with a light-weight feel and no tacky or sticky texture. The formula features the Farmacy exclusive Echinacea GreenEnvy complex which aids in protecting skin with additional caster and sunflower seed oils work to not only moisturize but also form a protective barrier on lips that preserves hydration levels with high levels of emollients thanks to natural fatty acids. While Lip Bloom are a bit pricier than your average balm, for me, the formula is what makes them worth it. I love the Honey Ginger's warm, spicy scent that blends fresh ginger with a tinge of honey sweetness. What do you think? Do you splurge on new balms? Tried these?